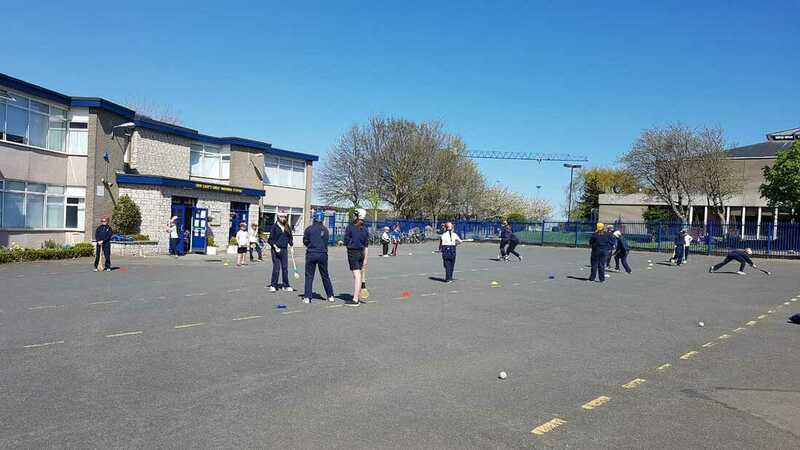 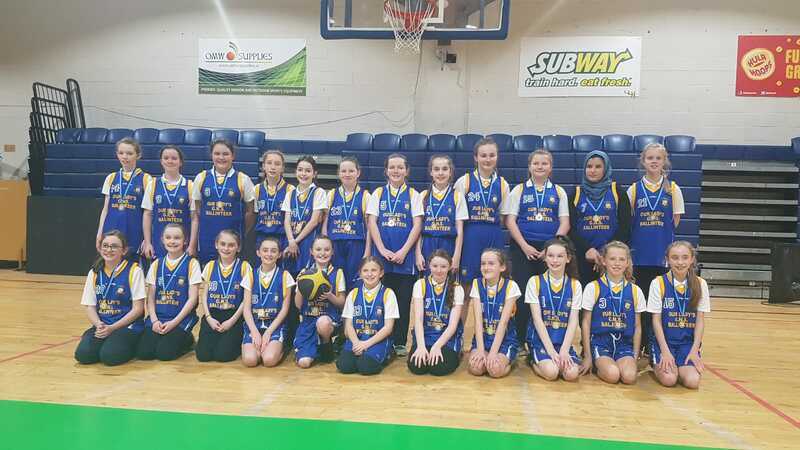 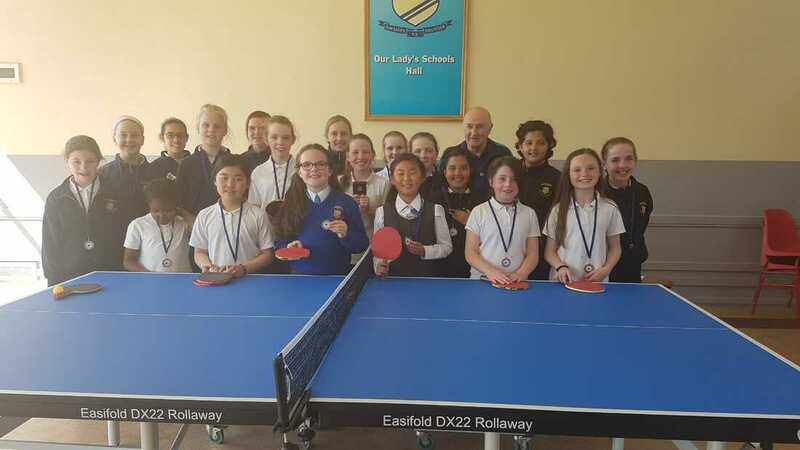 When we embarked on Active School Flag, we expressed our commitment to maintaining our Extra-Curricular Programme which is primarily run by volunteer teachers and parents.In our school, we play table tennis, camogie, Gaelic football and basketball. 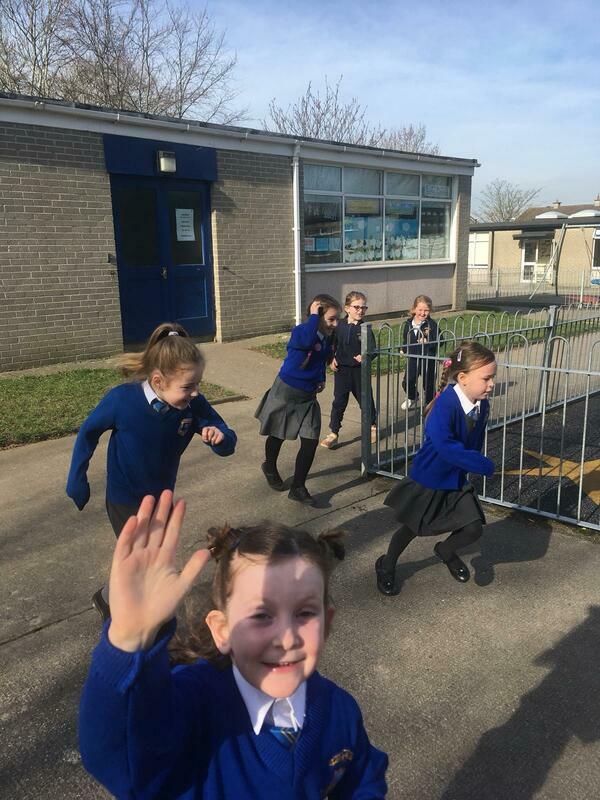 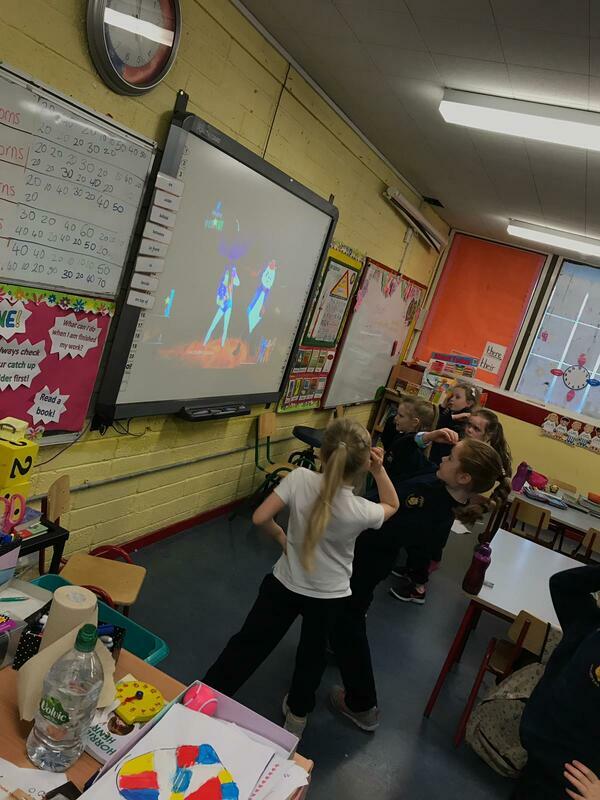 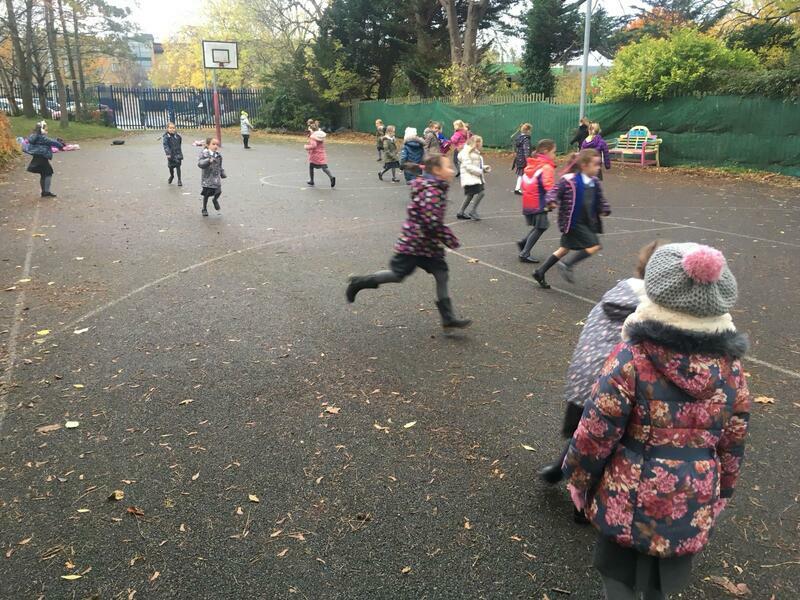 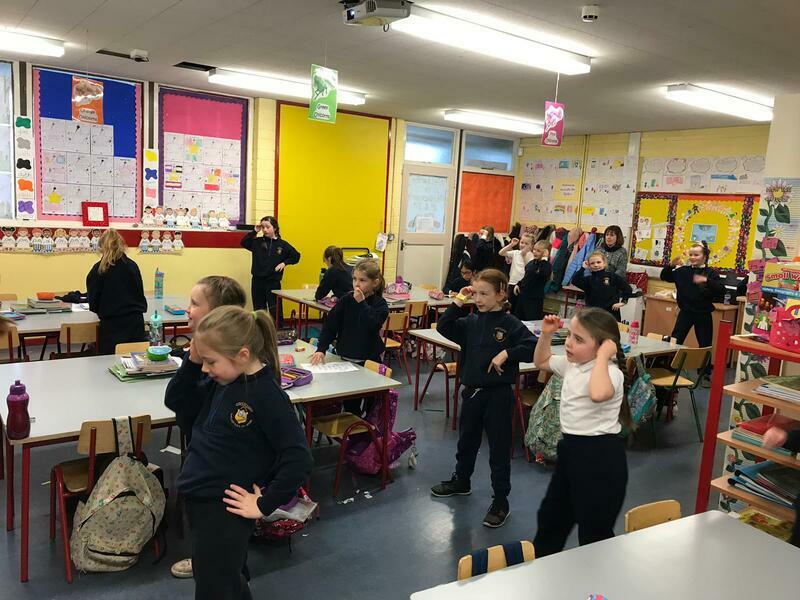 Teachers are ensuring that the children in their classrooms get regular active breaks during the school day.Here are photos of children enjoying a kilometre run, GoNoodle, Just Dance and 10@10. 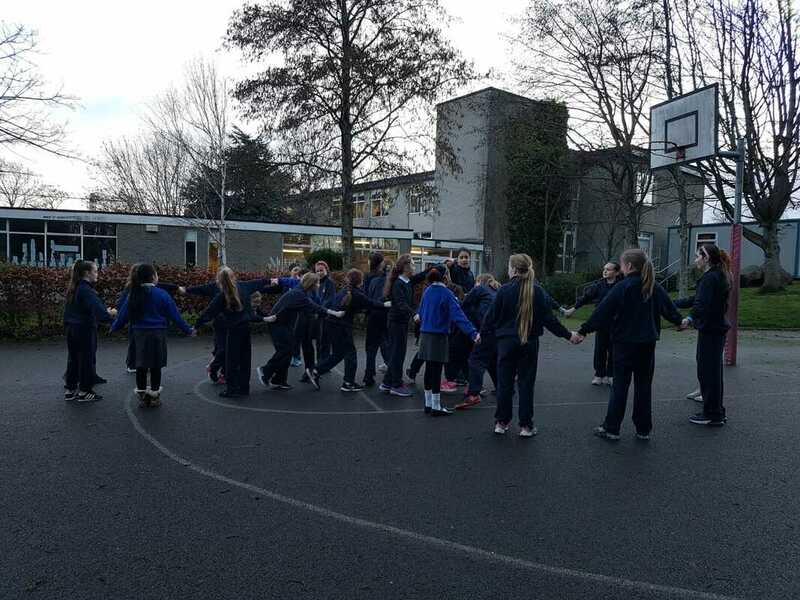 In November 2018, we introduced our 5th Class Playground Leaders to our Infant Yard for Big Break each Friday. 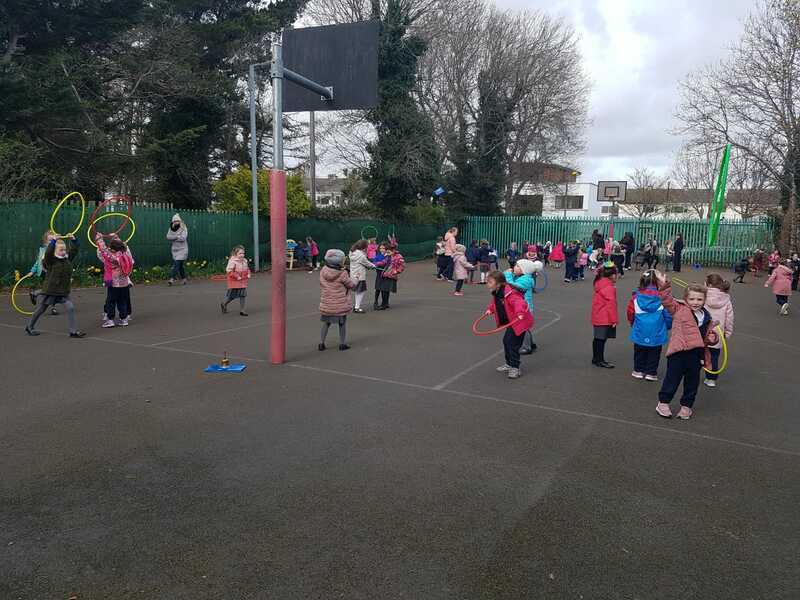 Ms. O'Neill teaches the Playground Leaders some of the games suggested on the Active School website and the girls then teach those games to the Infant classes.In the above photo, 5th Class are learning 'Dusty Bluebells', 'The Grand Old Duke of York' and 'Mulberry Bush'. 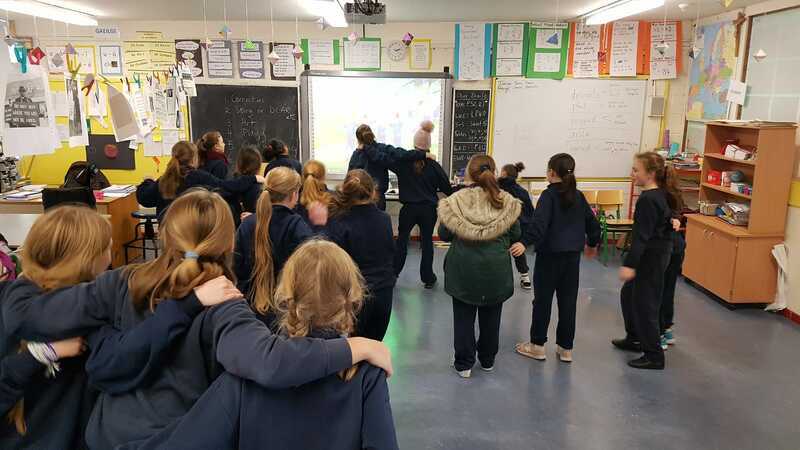 They have been teaching games such as these and skipping games to the Infants since November 2018. They will continue to learn and teach more games throughout each school year. 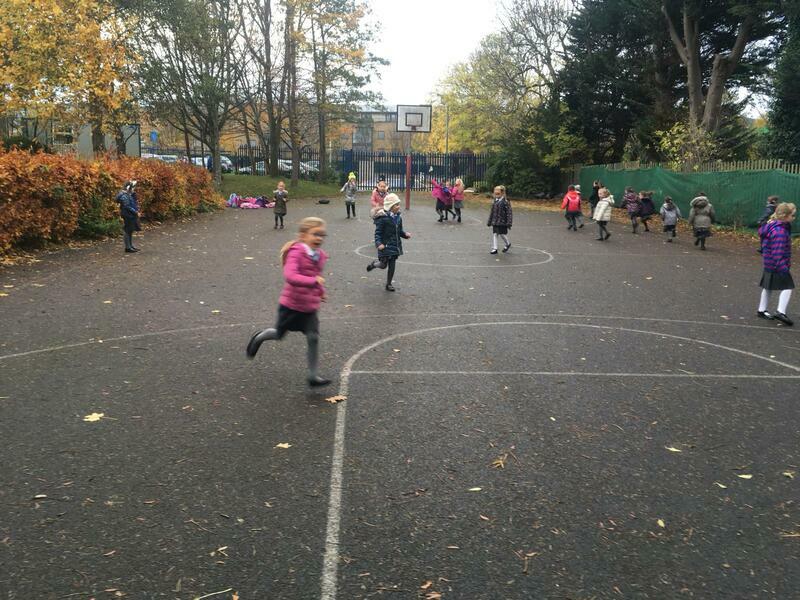 Our yard would probably be unrecognisable now to past-pupils of our school. 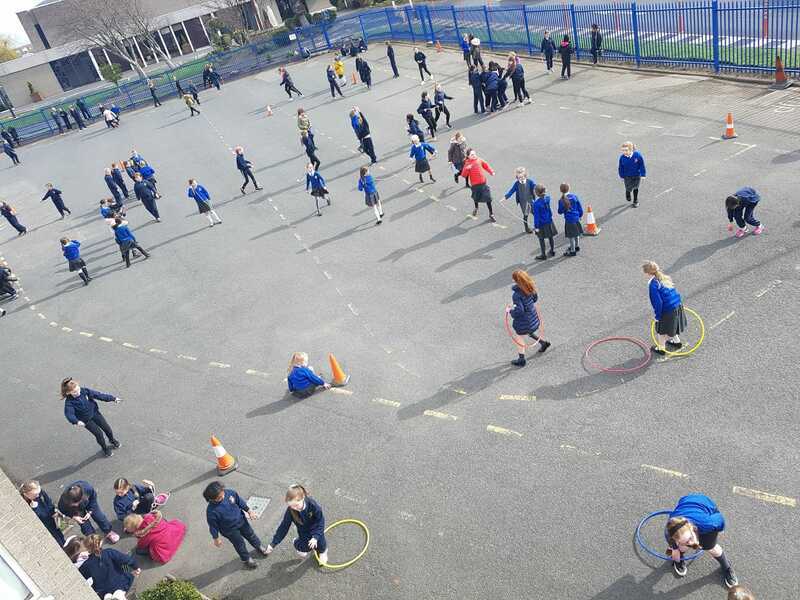 In order to increase children's activity levels in school, in October 2018,we introduced yard equipment-balls, skipping ropes and hoops- at Big Break three days each week.The children are so much more active and the feedback has been really positive from parents, staff and children.We store the yard equipment near the exits to yard for easy access.We still have two days without equipment in order to encourage the children to create their own games and play chasing games etc. 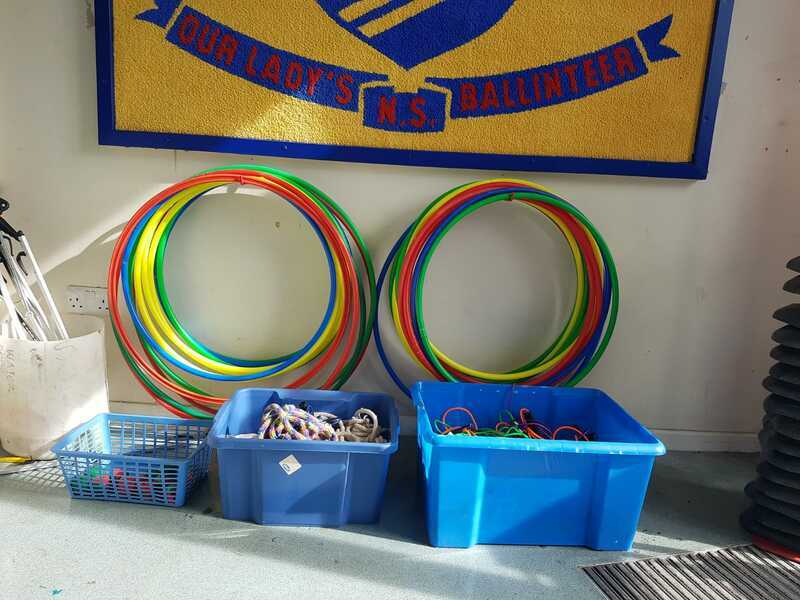 that require no equipment. 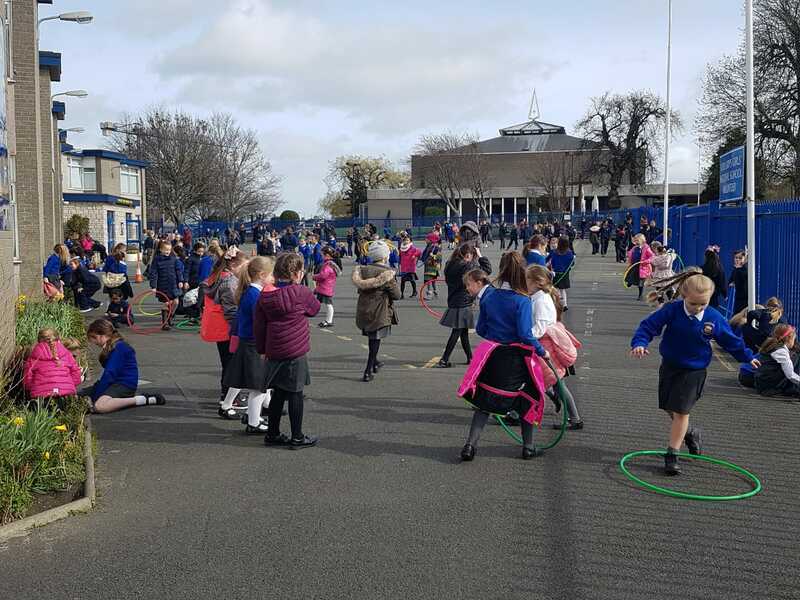 More Information:For more information on Active School Flag, please visit our Active School Flag, Physical Education, Partnerships and Active School Week pages.